Arch frame makes this fixture a perfect match for steam punk themes. Luminescent glow from marbleized glass shade. To clean glass or replace bulbs simply unscrew bottom finial button. 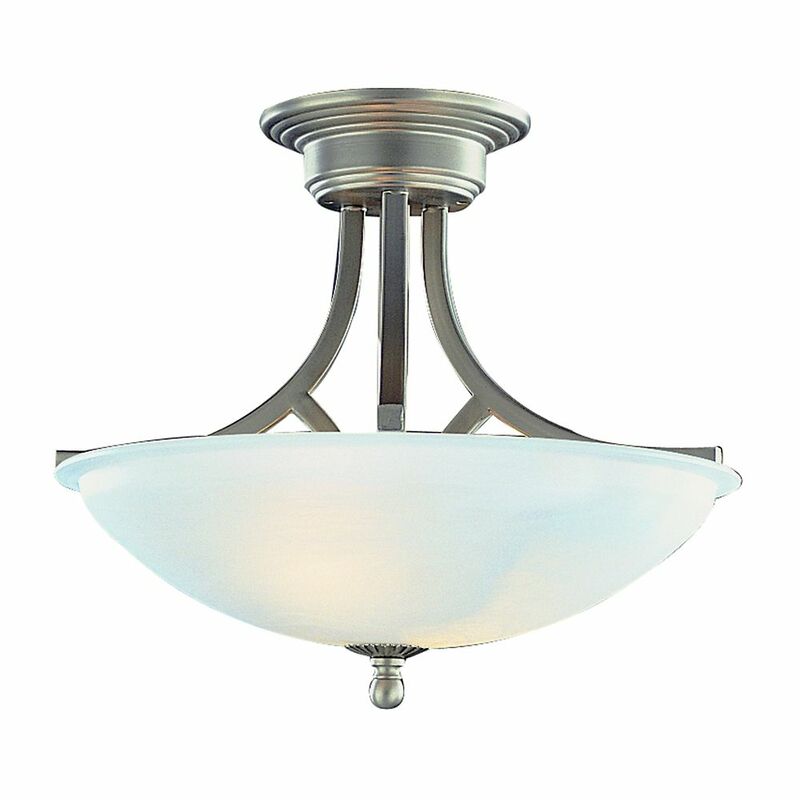 Nickel Arc Semi Flushmount Arch frame makes this fixture a perfect match for steam punk themes. Luminescent glow from marbleized glass shade. To clean glass or replace bulbs simply unscrew bottom finial button. Nickel Arc Semi Flushmount is rated 4.0 out of 5 by 1. Rated 4 out of 5 by Ms J from Good appearance and easily installed This is and attractive and efficient replacement for my grandaughter's childhood butterflies bedroom ceiling fixture. With two standard size led bulbs and readily removable reflective glass bowl it's bright and easy to maintain. She's 10 and likes to read and sketch in room so to her it's a winner.